Marriage Problems? Here Are Four Warning Signs! So, what are the warning signs of a troubled marriage? 1. You see marriage problems as severe. 2. Talking things over seems useless. 4. You’re isolated and lonely. How you remember your marital history, as compared to what really happened, turns out to important. Researchers have found that a couple with marriage problems have a negative view of the past. Chaos vs. a sense of control. Couples who remembered their early days of courtship and marriage problems as chaotic, uncertain and anxious usually wound up divorced. Disappointment vs. the Glorious Struggle. If the couple viewed their difficulties and struggles with a sense of pride, rather than disillusionment, were more likely to remain married. Togetherness vs. Separate Lives. The more that husbands saw their past as a joint undertaking, the more likely they were happily married. Expansiveness. It is a good sign if the husband remembers positive details about how he felt about his future wife during courtship. If all he remembers are negative, this isn’t a good indicator of a successful marriage. But some are stuck in a negative cycle that starts with complaining about a legitimate issue which turns into Criticism, which leads to expressing Contempt. This, in turn, forces partners into Defensiveness which winds up with one or both of them Stonewalling and shutting down. ”What was I thinking?” says the comedian as he slaps himself on the forehead. As it happens, there’s all kinds of thinking going on, some of it rational and some of it chemical. There are two main internal negative scripts that maintain our sense of distress when we are fighting, two ways of seeing ourselves. 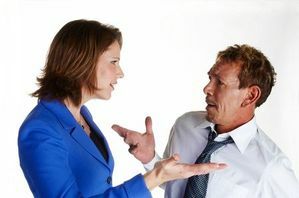 The Innocent Victim - It’s easy to feel like the “innocent victim” when you’ve acted defensively and are stonewalling. At this point, you’re feeling overwhelmed and fearful. And if you’re “the Victim” here, you’re not responsible and don’t have to do anything to save your marriage. And then there is the dreaded - CHEMICAL REACTION! We call it “Flooding.” Those Negative Scripts can cause us to become physiologically overwhelmed. Intense fighting that is impossible to win creates a nervous system overload that results in a release of hormones, such as adrenaline and cortisol, that make it hard to breathe, increase our heart rate, tense the muscles and send our blood pressure soaring. We become distressed, hostile, defensive, on guard against further attacks, and withdrawn. If you and your partner are experiencing any of these warning signs, perhaps it's time to talk to a Marriage Counselor about your marriage problems, and get help from someone trained and specializing in marriage counseling.